Twelve games, five wins, one draw and a fourth place finish. Glentoran’s league campaign started with a bang at Newry with three away goals, a clean sheet and three away points. Next in line were the current title holders Linfield. The Glens took the lead in a highly competitive match before Linfield claimed three points. Home and away wins against Crusaders and Ballymena secured Glentoran a 3rd place position at the half way stage. A disappointing start to the second half of the league with three closely fought competitive one goal defeats resulted in a drop in league position. Two later league wins lifted Glentoran to a mid table league finish and a feeling of what might have been had those one goal defeats gone their way. The highlight of the 2017 senior season was undoubtedly winning the Toal’s County Antrim Challenge Cup, the Arc de Triomphe of trophies in the women’s game. 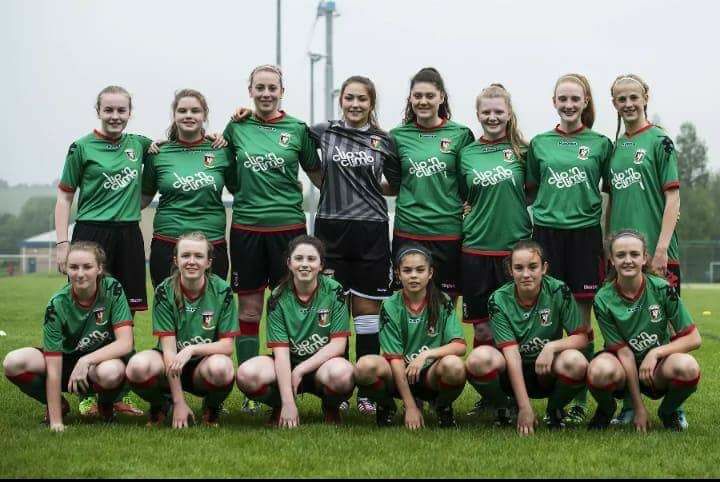 This competition saw Glentoran score 32 goals across four matches, including a comfortable 0-14 Final win against East Belfast Ladies. The tie of the competition was against Linfield where the two teams met in the semi-final. With no difference between the teams in normal time, Glentoran progressed to the Final after winning 5-4 on penalties. This was not the only trophy for Glentoran Belfast United this season as the U19’s were undefeated resulting in them clinching the NIWFA U19 League title. Our Under 15 team were also victorious lifting the SBYL Girls League Shield with an impressive win over Coleraine in the Final and the Harry Gregg Cup at the Coleraine 6 a sides. A well-deserved break now before pre-season commences with the IFA Futsal Tournament in November and then into New Year where we hope to add to our trophy cabinet in 2018.